The I Love New York fall foliage report is now available for the 2016 season. 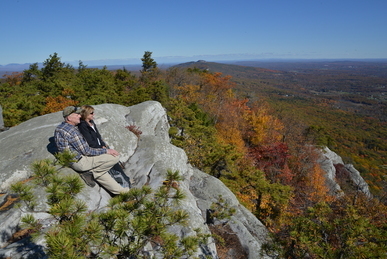 With autumn being one of the most impressive times to visit New York, the foliage report provides suggested travel destinations, weekly event listings, and prime locations to view the spectacular colors of fall. 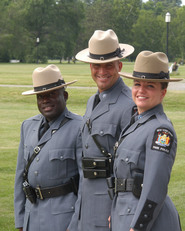 The New York State Park Police are seeking candidates interested in a rewarding law enforcement career in the New York State park system. A competitive written Civil Service examination for the position will be held November 19, 2016. Applications must be submitted to the Department of Civil Service by October 5, 2016. Now is the time to book your 2016-17 school-year field-trip to a New York State park, nature center or historic site! New York State Parks is making grants available to eligible schools for up to $750 per classroom, per trip to defray field-trip transportation and program fee costs. Learn More or Contact Us. and we may feature it on our social media channels. Known for their noisy calls, handsome plumage and love of acorns, the Blue Jay is an unmistakable bird. Blue Jays are a member of the Corvid family, which include crows, ravens, jays, and magpies. Intelligence, astonishing memories, problem solving skills, complex social systems, a wide vocabulary of calls and excellent mimicry skills all come standard with this family DNA. Blue Jays often mimic the calls of hawks. This behavior may be used to alert other Blue Jays that a hawk is nearby, or to deceive other birds into scattering from bird feeders to seek cover allowing the Jay to take over the bird feeder. Blue Jays will carry 2-3 acorns in their throat pouch, another one in their mouth, and one more in the tip of the bill. In this way they can carry off 5 acorns at a time to hide in tree cavities for later feeding. Take a listen. More and more visitors love parks! 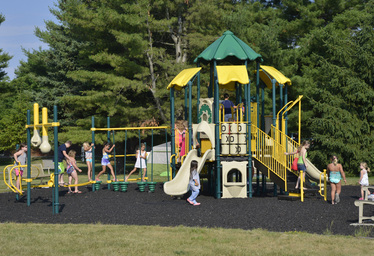 Thirteen new playgrounds are coming to State Parks. 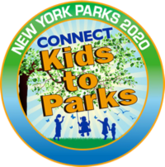 They are part of Governor Cuomo's goal to modernize 100 State Park playgrounds by 2020 and build on the Connect Kids to Parks program to draw more youth to the outdoors. The state has committed $2.5 million to build and improve 13 of the play areas at 11 state park locations. 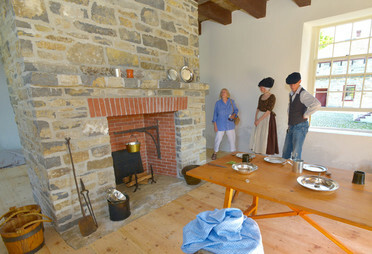 An original ”stonehouse” dating back to the 18th century at Johnson Hall State Historic Site has reopened to the public, providing newly restored space to better learn about the work and living conditions of some of the enslaved people at the Fulton County estate. New York State Parks, the Long Island City Youth Sports League and community partners, celebrated the grand opening of a $568,000 renovation of the basketball and handball courts at Gantry Plaza State Park. The renovated athletic facility was made possible through NY Parks 2020 program as well as $150,000 in funding from The Coca-Cola Company and a partnership with the National Recreation and Park Association. 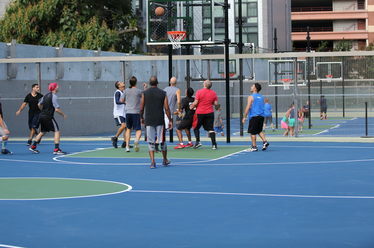 The project at the complex on 48th Avenue in Queens included replacing the play surface for the three basketball courts, installing new posts, backboards, hoops and nets, repairing and repainting the seating wall, repairing fencing and drainage systems, as well as additional repairs and fencing for four handball courts. How long have you been with the agency? I have been with the agency for over 3 years – I started in May of 2013. What does someone in your position do? As a Wildlife Specialist I work statewide collaborating with the regional biologists and park staff to preserve, enhance, and manage wildlife and their habitat in our State Parks. What’s the coolest thing you’ve ever done? One of my most memorable experiences was participating in the annual Northeast Partners in Amphibian and Reptile Conservation meeting at Allegany State Park. 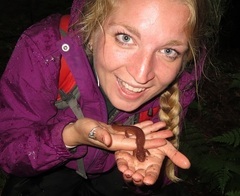 It was awesome to be around so many knowledgeable and passionate Herpetologists at a park that has great reptile and amphibian diversity-especially when we went searching for salamanders! What’s the coolest thing you’ve ever seen? My favorite wildlife encounter was with a rare Blanding’s Turtle (these are on the state’s threatened list). These turtles have a bright yellow chin and throat, giving the impression that they are smiling! Turtles are one of my favorite creatures to observe; I have great respect for them. Is there a destination in the park/region you’d recommend to someone? One of my favorite places to go for a paddle is Dunham Reservoir, part of Grafton Lakes State Park. I highly recommend this location, especially during the fall to leaf peep. 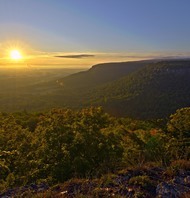 What inspired you to work in the park system? I choose this job because I want to be a part of protecting and preserving the diverse wildlife and unique ecological communities in our State Parks for generations to come.